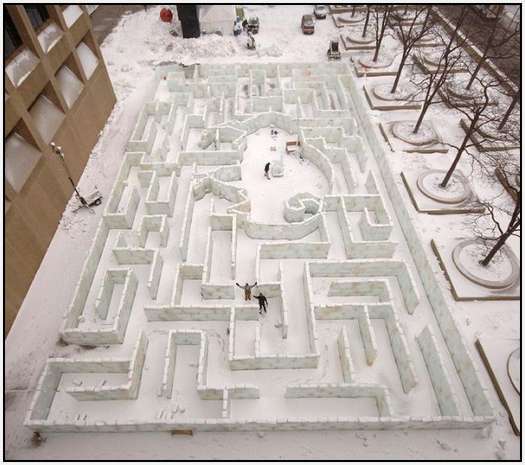 The Ice Labyrinth in Buffalo. 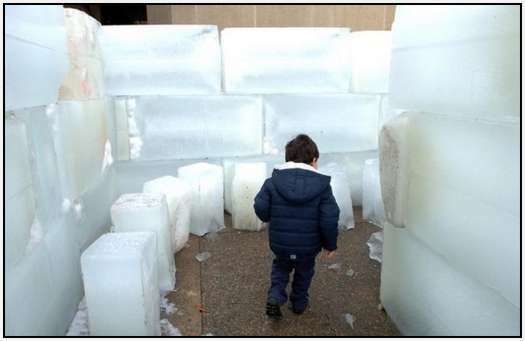 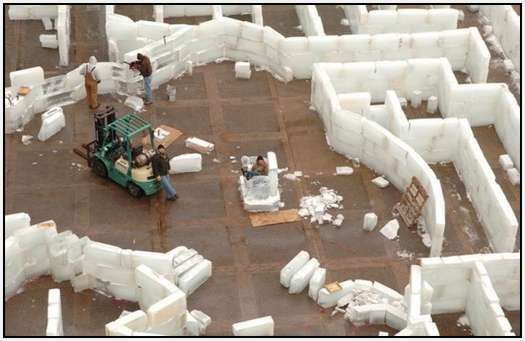 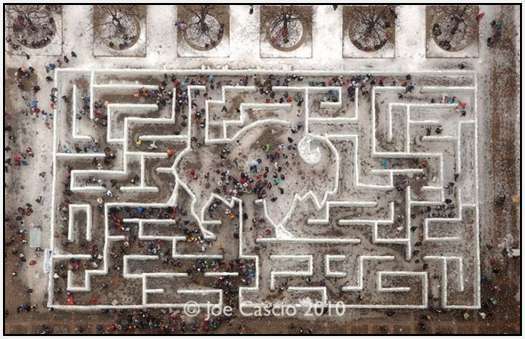 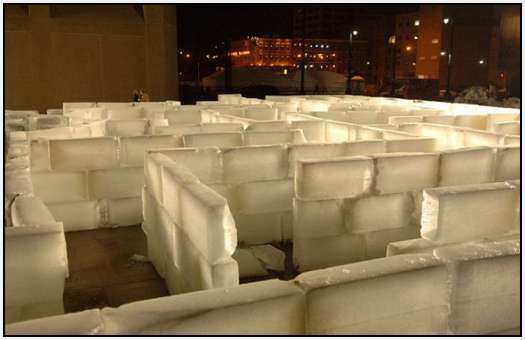 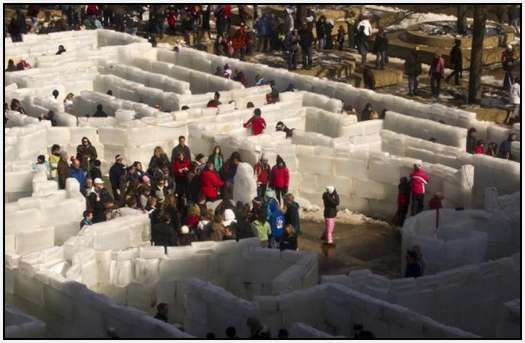 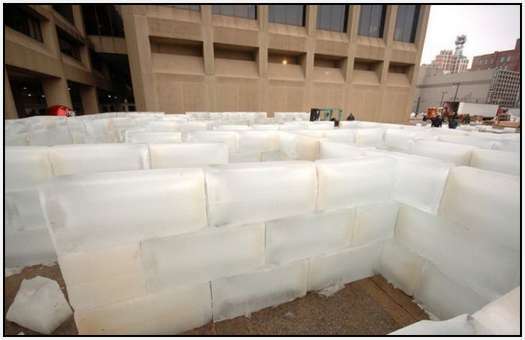 The largest ice labyrinth in the world was built for the winter festival in Buffalo, USA. 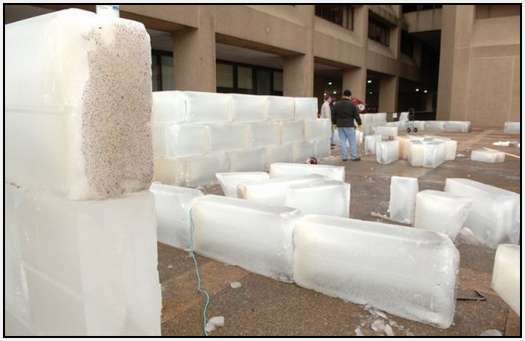 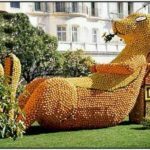 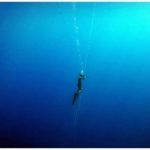 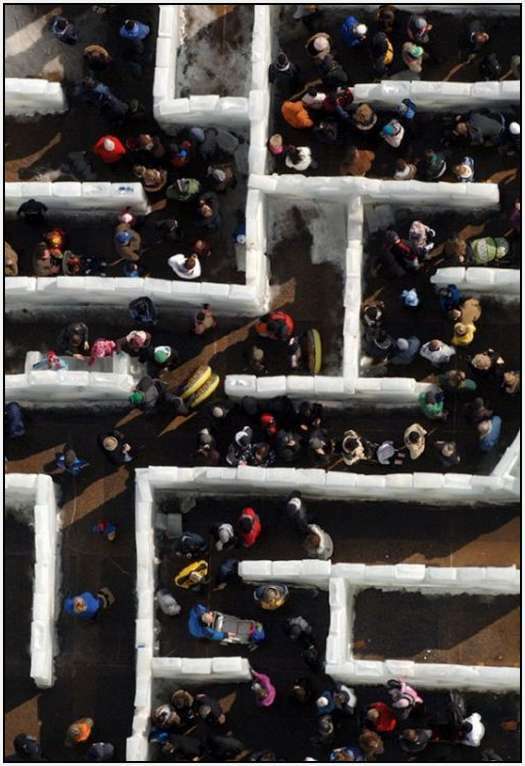 The world’s largest ice maze which measures 12,855.68 square foot with total weight about 600,000 pounds, has been recorded in the book of Guinness World Records. 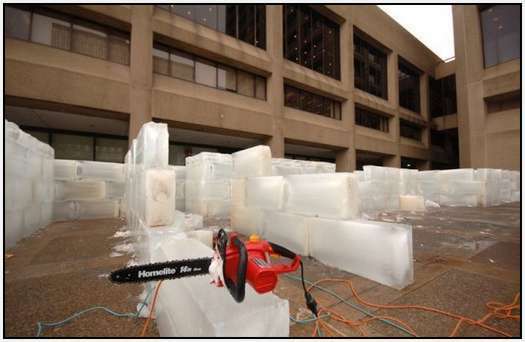 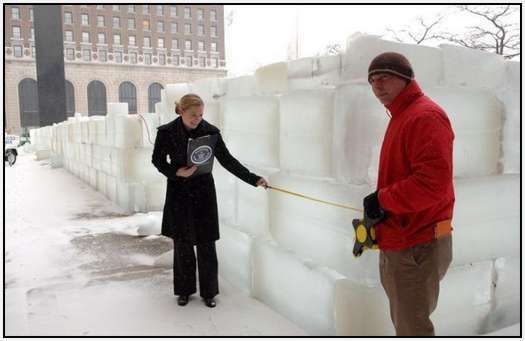 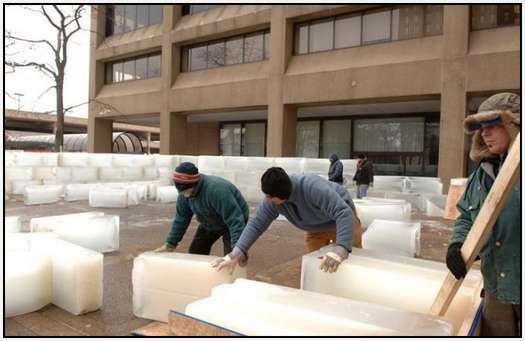 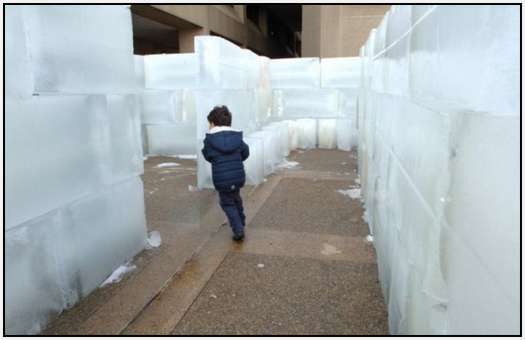 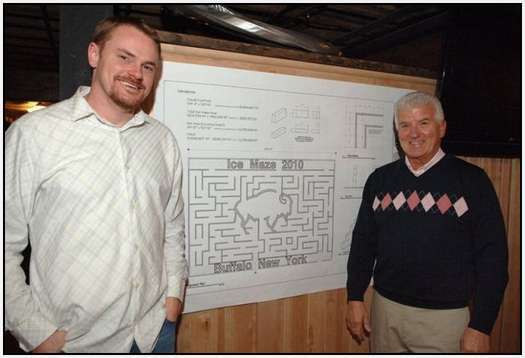 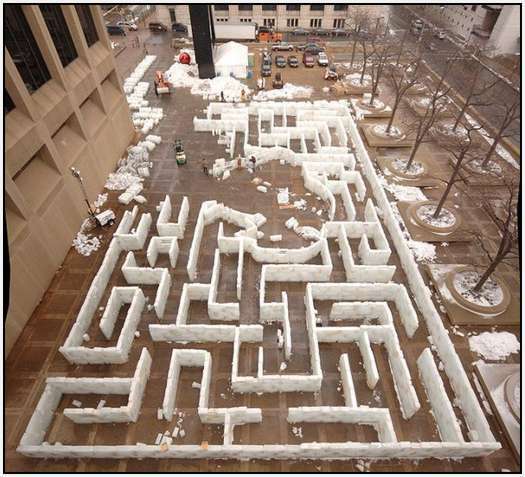 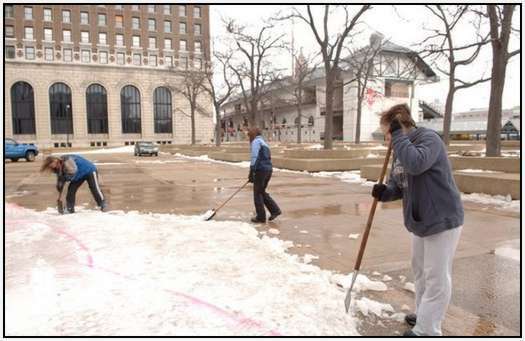 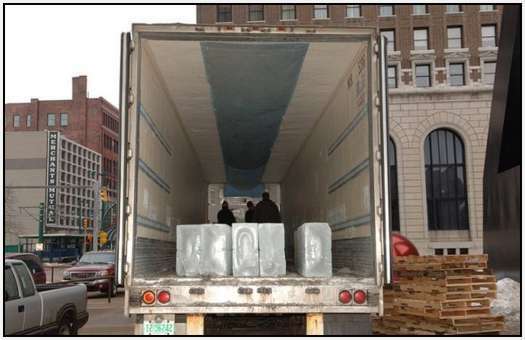 The old world record holder Pontiac Ice Maze, which measured 8,280 square foot, was set in 2005 in Toronto. 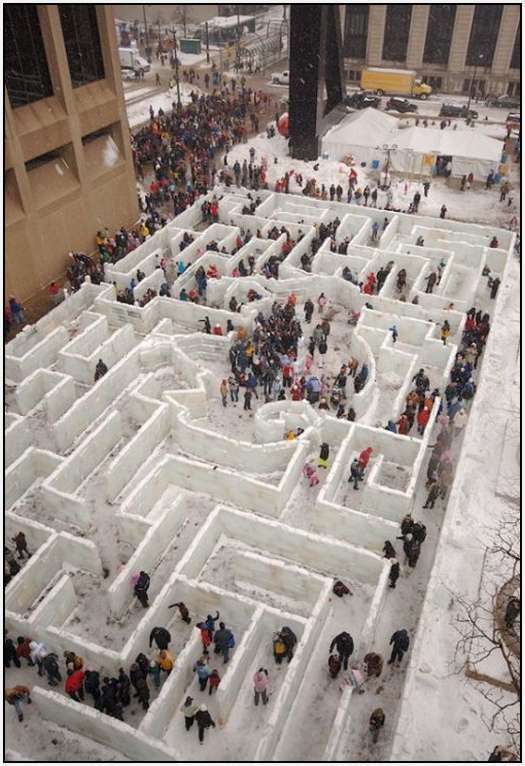 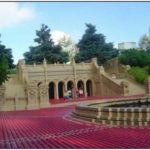 The City authorities are now worried about the possibility of a flood if this labyrinth begins to melt. 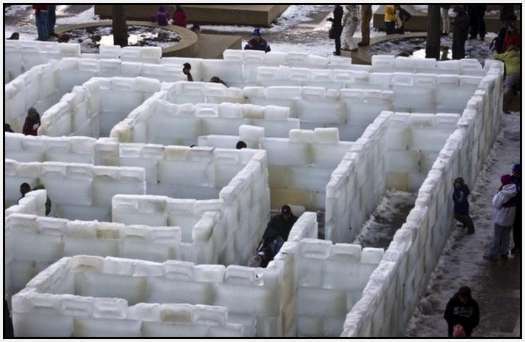 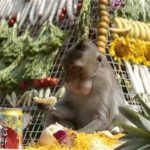 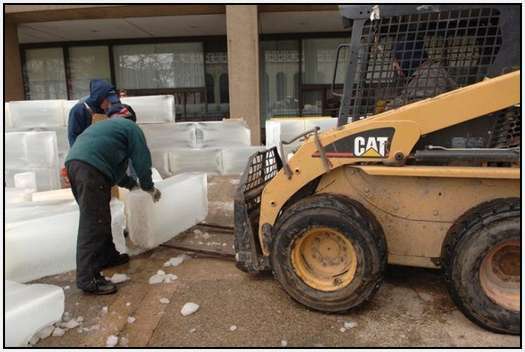 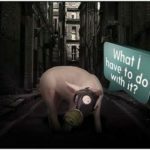 Due to this reason, they have built few powerful water pumps surrounding the world’s largest ice labyrinth.